Built to provide the best content entry workflow possible. 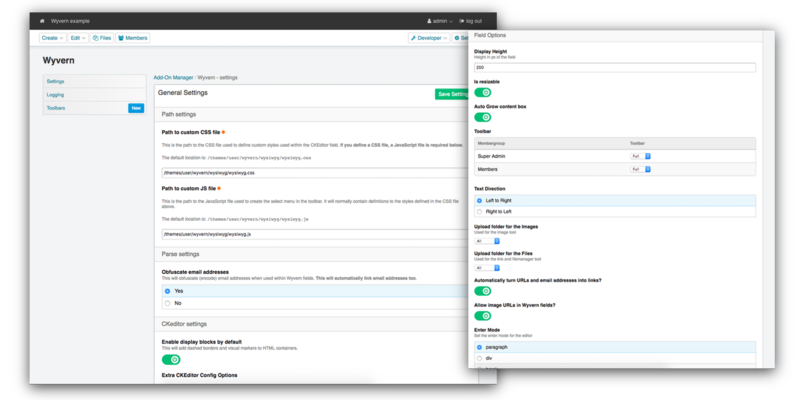 Wyvern is built to provide the best content entry workflow possible. 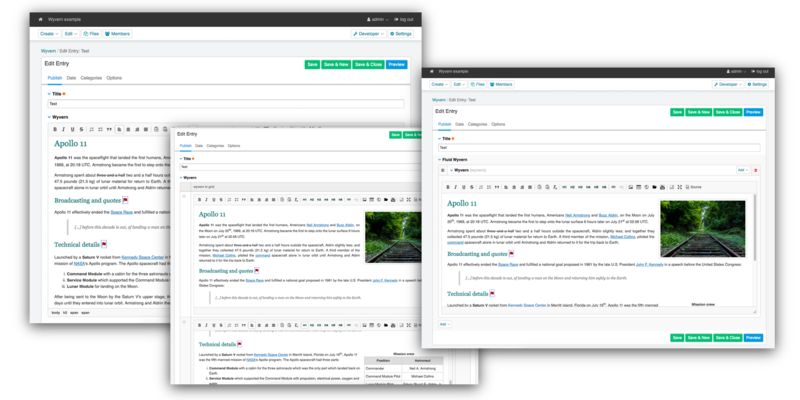 It is the first and only wysiwyg editor that integrates seemlessly with all of these popular modules: Structure, Pages, Taxonomy, NavEE, SafeCracker, and Assets. It was the first ExpressionEngine editor to include a visual editing mode to see separations in your content blocks so your editors do not get confused and mangle the content. Seamless integration of the default ExpressionEngine file manager and even with Assets! Take control how the Wyvern may looks like in the Control Panel. This way you can make Wyvern match your custom CP style. Create links to Pages (structure), templates, Files. You name it we can link it! Wyvern use a special technique to make sure all links stay correct, even when you migrate to a different url. With Wyvern you can also change the settings for the CKEditor. This allows you to modify some core elements of CKEditor. Wyvern allows you to control the upload buttons. Both the folder and image button can be controlled to specify the upload dir. Grid, Fluid or use the preview function. Wyvern is compatible with all the core element of ExpressionEngine. 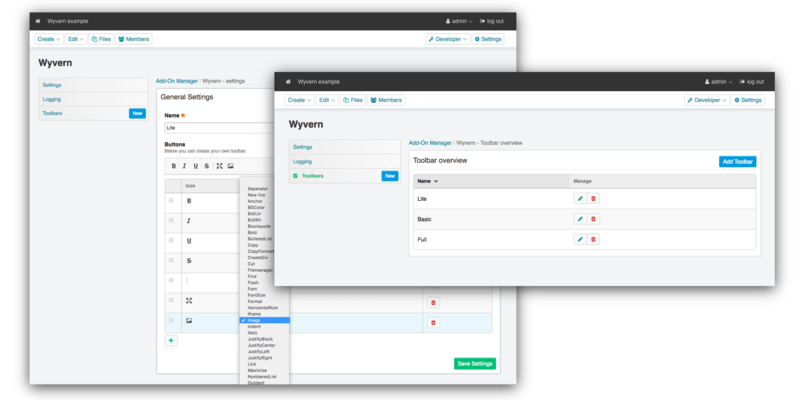 Wyvern support also Bloqs, Low Variables, Webservice and many more third party modules. Wyvern is extremely customisable. There are plenty of options on the addon settings page and you have some nice settings for the field specific. For example, different toolbar per member group, or assign upload locations to the upload buttons. With Wyvern, you can create custom toolbars with the tools you like to have. You want a fully featured editor, no problem, just add all the buttons to the toolbar. Need a lite toolbar? No problem, just add the tools you want.